Column focusing on writing covered calls and cash secured puts to generate consistent income. Depending on the volatility in the market, could change focus to buying puts and calls. 1-3 option trades per week. I’m starting a column focused on earning a regular income from writing covered calls and cash secured puts. How is my column different than other columns on Seeking Alpha ? Not many differences, however, I promise to focus on two things - firstly I hate losing any of the principal invested. I hope to choose sound stocks to write calls on, that even if I end up on the losing end I have a chance to recover my principal. Secondly I aim to be as consistent as possible with making a regular, reasonable return with the option trades presented. I am currently biased with selecting an in the money call over an at the money or out of the money call if that provides a better margin of safety taking into consideration the current stage of the economic cycle.Where possible, I will call out the risks. I picked covered calls and cash secured puts because they are easy to understand, simple to manage, and monitor. I have a full time job in the services world. I am looking to trade options as a hobby, and to hopefully improve returns on my IRA. I intend to pick my trades over the weekend and monitor to the minimal extent required during the week. All trades presented here are ones that I am very likely to trade during the week in my IRA account. Please note - Options are derivative financial instruments and inherently very risky. You are very likely to lose money trading options. For example - some of the risks to trading covered calls are - you need to buy a 100 shares of the stock that you are writing the call option on and need to hold these shares for the time frame the call option you wrote is in force. You can choose to purchase the option back to close it earlier than the strike date. The 100 shares that cover the option you wrote can be called away from you when the option is in the money. If the underlying share significantly decreases in price, you are exposed to those depressed prices. Your gains in case of significant increases in share price are limited by the strike price of the option you sold. 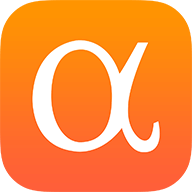 A little bit about me - I have been a regular reader of Seeking Alpha since 2006. I have dabbled with stocks since the early 1990s, interested at various points in the different philosophies that gurus use to picking stocks, and making money in the market. I have gained quite a bit of knowledge from all the wonderful folks who have written such varied articles and provided such fascinating view points and look at this column as a way of giving back. A majority of my portfolio is in my 401K, IRAs, and in real estate. I have a small margin account and an IRA ($25,000) that I use to trade options. First stock that I am looking at is WBA - Walgreens Boots Alliance. I picked this stock because it has fallen in price significantly around 17% late Feb’2019. Walgreens has traded between $60 and $100 between 2014 and 2019. During this time period it has continued to do very well as a business. YieldChart.com shows that the WBA is yielding one of the highest yields in recent times and offers yet another view on its current price. It is currently at the low end of its trading range over the last 5 years. I am bullish on the stock. Lets look at writing a Cash Secured put. I looked at the sweet spot of 45 -60 days for writing options. The May 17 strike date is 47 days out - strike price of 62.50 shows a bid-ask spread 2.16-2.30 (14 cents) and reasonable options volume. Lets write a put option for May 17 - 62.50 strike for 2.20. This works out to a 3.5% return or a 27% annualized return. In addition if the price of Walgreens falls below 62.50 by May 17, the break even price we’d be getting the shares at would be $60.3 (62.5-2.20). One risk to note is that Walgreens is expected to report results on April 2nd. You may want to wait until the results are in and any re-evaluate this trade if necessary. Note that the consensus forecast for earnings per share this quarter is $1.7. Disclosure: I/we have no positions in any stocks mentioned, but may initiate a long position in WBA over the next 72 hours.